Nike’s new speed silo the Green Speed II was released this week and Liverpool’s Raheem Sterling was one of the stars showcasing and launching it. Sterling is one of six players launching the boot with other Premier League players Eden Hazard and Theo Walcott included. The speed boot weighs in at just 160 grams and is the most environmentally friendly boot on the market. Sterling made his international debut for the Three Lions last week in the friendly against Sweden showcased by Zlatan Ibrahimovic’s four goals including one sensational bi-cycle kick. Sterling had a part to play in Danny Welbeck’s goal and he is progressing rapidly for his club, Liverpool. New manager Brendan Rodgers has had great faith in the youngster as he has preferred him over the likes of Stewart Downing on the wing. 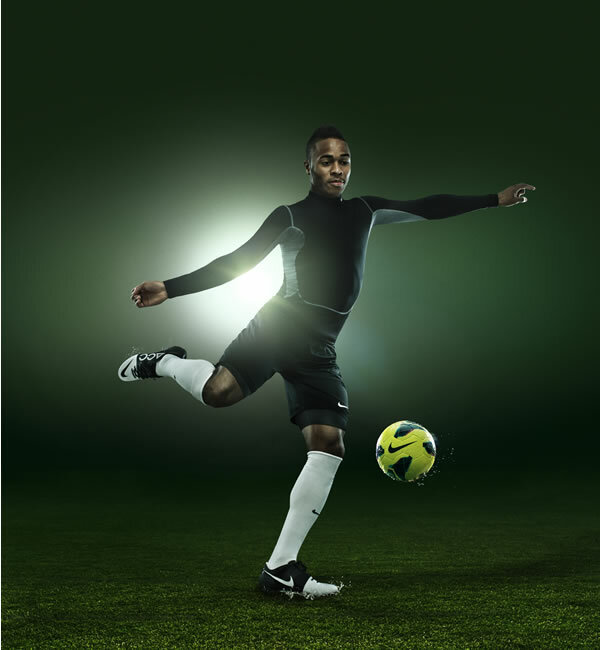 Sterling is scheduled to wear the speed boot on Sunday’s Premier League clash with Swansea City. The speedy winger still only 17 years old tested the boots last Wednesday in training. The boot specialises in speed and is part of Nike’s lucrative All Conditions Control collection. Most of the materials of this cleat are from renewable and recyclable sources.